Caroline County is located roughly midway between Richmond and Washington, D.C. It is home to the Virginia State Fair at The Meadow Event Park, birthplace of 1973 Triple Crown winner Secretariat. The State Fair takes place every year at Meadow Event Park. 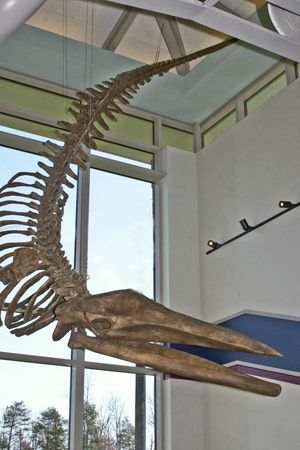 The new visitors center offers the unique experience of a 28-ft. prehistoric whale skeleton found at the Martin Marietta Carmel Church Quarry, one of the most important prehistoric sites east of the Mississippi River. People can also examine other fossils such as whale bones, shark's teeth, and a horse's jaw, all found at the nearby quarry. It also has a gift shop that spotlights local talent and offers county and Secretariat memorabilia. The National Park Service operates several Civil War battlefields in this area, including the Stonewall Jackson Shrine. Also, Fort A.P. Hill military base is in the county.